It is so good to finally be out of one of the rainiest winters in a long time (that is what the locals said). It was cold enough that people did not go out that much and certainly never wanted to stop and talk or even pull their hands out to take a tract. It was kind of a sobering thought to realize that people’s desire to stay warm was preventing them from taking something that would tell them how they could avoid hell itself. I still was able to get a lot of tracts out and have several good witnesses during this timeframe but it is much nicer to have people hitting the streets in force once again. The Easter season softened people up a bit more so that they were much more wiling to take tracts and even stop to talk for a little while. We had so many people say they would visit church that if 1/10 of the people that said that actually showed up, we would have totally packed out the building every service. That has not been the case! Leading up to the Greek Easter, I made invites for our service since this is a huge church day for them. Most of the people go to church Saturday night at midnight with some going in the morning. With our service being later in the morning, it does not take place at the same time as any other services so were hoping that some might come out of curiosity. It turned out that we had a very low turnout with no visitors. A lot of people take off to their villages for that weekend and the weekend after so the city was pretty dead. We still had a wonderful service with those in attendance. We have been getting visitors every month with some of them coming from other countries around Europe. They will visit Greece and search for a Baptist church and we are it! It has been a blessing to fellowship with other believers from around Europe. We also had one visitor who had to stay over because of a broken vehicle. He is saved but his boss was not. He invited his boss to come with him but he was not feeling well. He did tell the employee that they would make sure they would stop by again because he does want to come. Please pray for these men. One man who comes fairly regularly as been bringing friends with him, even on Wednesdays. One man in particular loves coming and is not saved. He always has a lot of questions and is becoming more interested in learning about God. His name is George so please pray for him. The blessing has been seeing our man actually using the Bible to back up some of the things I am saying as he asked the questions. Thank you for your prayers for those who come to church. Please pray that they would remain faithful in attendance. There was one Sunday when no one came and some Sundays where attendance was very low. Part of it is the colder weather but part is the culture of not being faithful to church in the first place, even to the Orthodox church. 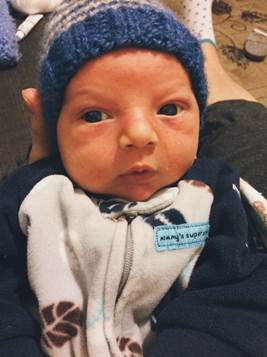 Last Wednesday, we welcomed our 4th child into the world – Timothy Joel. Everything went very smoothly and Rachel is doing very well. We had a couple of language problems at various points where the doctor said something in English that was not correct, but other than that, everything went very well! My mother-in-law and a sister-in-law are spending some time here with us and have been a big help. The kids love little Timmy and we are so grateful to God for giving us this blessing. Thank you for your prayers for our family! We have something new and exciting to ask you to pray for. There are thousands of Syrian refugees that are being taken into Greece as of late. The government is passing them around the country and they are beginning to convert old military bases as places of living for them. Many of these refugees speak English and they are coming from a place that has been ripped apart with war and hatred. Please pray as we start to interact with these people more. The Greek Orthodox do not care about them and they are really in a place where we may be able to reach them with the Gospel. It is an amazing thing – God has allowed them to be transplanted from a place where it is very difficult to openly declare the Gospel to a place where it can have free course. Please pray for these families. Thank you all so much for your prayer, continued interest, and giving to help the work here in Thessaloniki. We are blessed of God to be able to serve Him here and we are always thankful for your part in this ministry. The devil does not like it but we know that greater is He that is in us than he that is in the world.